Avoyelles Parish has long been known as a sportsman’s paradise, with abundant wildlife, scenic waterways, and a prosperous agriculture industry, but one would be remiss to overlook the incredible dining options in this parish in central Louisiana. 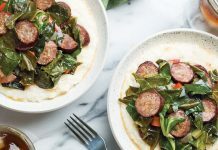 Avoyelles Parish was named after the Avoyels Indians, but the parish also celebrates its French Creole heritage, which has had a major impact on the food scene there. 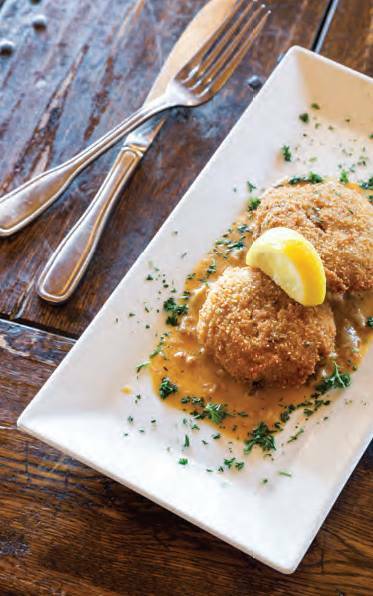 Food lovers will find both casual and high-end dining with Creole and Cajun flair. At Broken Wheel Brewery, longtime friends Jonathan Knoll and Chris Pahl produce handcrafted beers that pay homage to the local culture. The brewery is named after the story of Marksville’s founding, and each brew’s name has a story behind it. The Páchafa Pale Ale is named after a half-man, half-horse boogey man that Marksville natives grew up fearing, while the AP IPA honors Avoyelles Parish. The brewery is part of Fresh Catch Bistreaux, which Jonathan opened in 2009. The restaurant turns out classic Cajun fare alongside Broken Wheel’s craft brews. The menu features everything from crab cakes and seafood platters to crawfish étouffée and fun specials. Whether you stop in for lunch or dinner, Brown Bag Gourmet is an excellent choice for fresh cuisine with local and global flair from owner and executive chef Trent Bonnette. A selection of delectable salads and sandwiches, including Shrimp & Crab Stuffed Avocado and Soft Shell Crab Poor Boy, anchors the lunch menu. The dinner menu features creative appetizers and entrées, such as Pan Seared Redfish and the Louisiana Beef Burger with blue cheese, bacon jam, and caramelized onion (a local favorite). 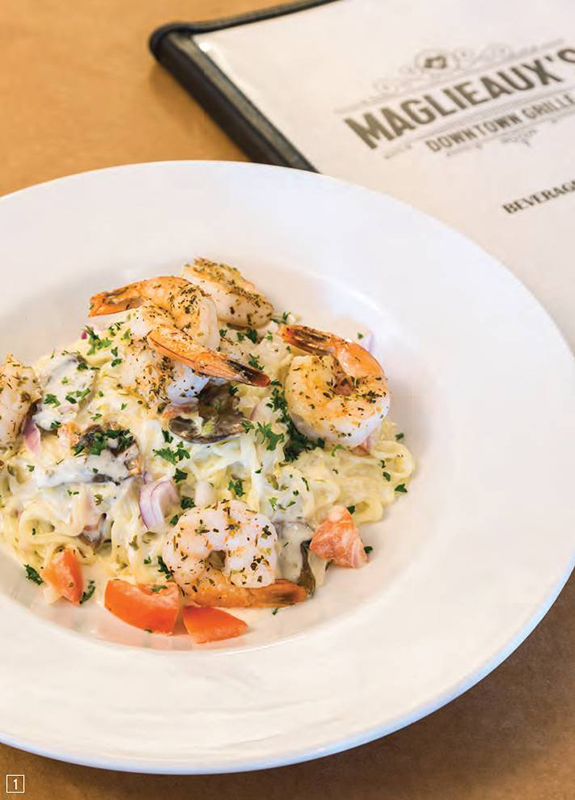 Maglieaux’s Downtown Grille opened last spring in Marksville with a similar menu and many of the same signature items from its sister restaurant, Maglieaux’s on the Cane, in Natchitoches. The restaurant serves a mix of Creole and Italian cuisine, including an outstanding Hen & Andouille Gumbo. Seafood Cannelloni and Lasagna Pappardelle highlight Italian flavors, while the Fish Pontchartrain and Crabmeat Stuffed Portobello Mushroom with Grilled Shrimp showcase Louisiana flavors. Pork Belly’s Bar & Grill recently opened in Marksville with a menu of pork-centric entrées and seafood favorites. You can’t go wrong with their Cracklin’ Crusted Pork Chop or Cane Glazed Pork Belly. For down-home seafood dishes, check out Rocky’s Tail and Shells in Bunkie and Bernard’s Cajun Sea-Fry Restaurant in Cottonport. Rocky’s offers an extensive menu of seafood dishes, with everything from boiled crawfish and fried shrimp po’ boys to grilled redfish and Shrimp and Andouille Pasta. Bernard’s is known for its po’ boys, fried seafood, and boiled crawfish, when in season. At Paragon Casino Resort, you’ll find fantastic dining options alongside gaming, live entertainment, and luxury accommodations. The casino offers seven different restaurants that run the gamut from fine dining to casual fare. 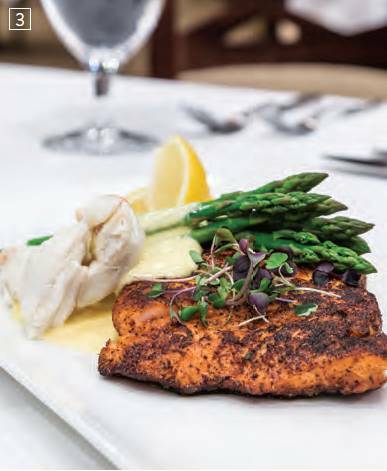 For a fancy dinner, Legends Steakhouse features a variety of prime steak and seafood dishes, including a bone-in ribeye, boudin stuffed pork chop, and blackened redfish. For a more relaxed atmosphere, Big Daddy E’s Cajun Grill and Oyster Bar and Roxy’s Diner are both solid choices. 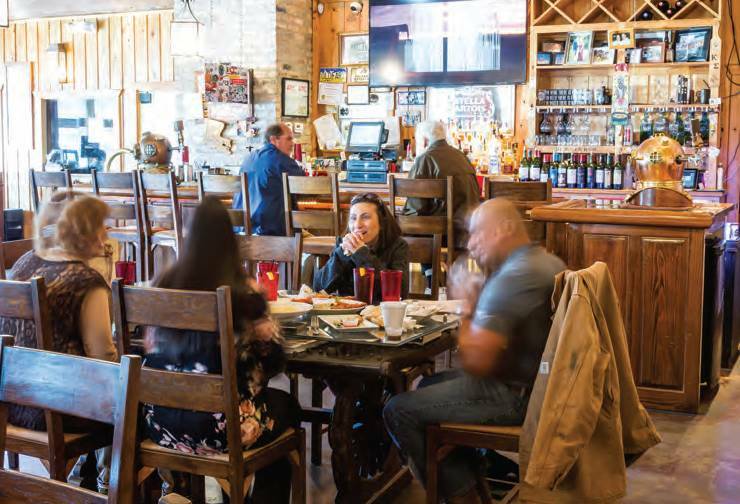 Seafood takes center stage at Big Daddy E’s, with tantalizing appetizers like Firecracker Shrimp and Alligator Nuggets and mouthwatering mains like boiled shrimp and Catfish Avoyelles. 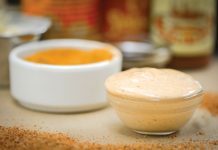 Roxy’s Diner is open 24/7 and offers a menu of comfort food favorites, including Chicken Fried Steak and Seafood Gumbo. The Market Place Buffet features a vast selection of exciting options and special menus throughout the week. Locals know that it’s the place to be on Sunday nights, when the buffet has a cochon de lait theme, with whole roast pig, boudin, cracklin’s, and sausages. Marksville and the surrounding areas have lots of goodies you’ll want to pick up before heading home, so make sure to bring an ice chest—and your appetite. 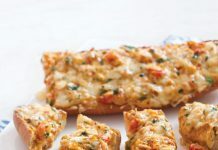 If you’ve ever been to the New Orleans Jazz & Heritage Festival, chances are you’ve tasted or at least heard of the legendary crawfish bread sold by Panaroma Foods. The cheesy crowd favorite is made and sold locally in Marksville, and it is available precooked and frozen at the bakery. You’ll also want to snag Panaroma’s sausage and jalapeño bread while you’re there. 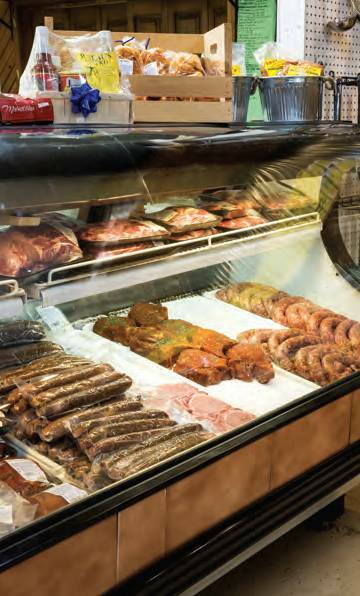 Boudin and cracklin’s are available at specialty meat markets and stores throughout Avoyelles Parish. At Juneau’s Cajun Meats, directly across from the casino, you’ll find hot boudin, juicy cracklin’s, and crispy boudin balls. The shop also offers a variety of frozen meats and sausage to fill your ice chest. In the nearby town of Cottonport, T-Jim’s Grocery and Market is known for its fresh pork sausage and stuffed eggs as well as its cracklin’s and boudin. Avoyelles Parish is located in Central Louisiana. It is approximately three hours northwest of New Orleans, fewer than two hours northwest of Baton Rouge, and one hour north of Lafayette.